1. Strolling around the Princess Street vineyards, starting with Muirlea Rise next door .. across the road to multi-award winning Martinborough Vineyard .. then round the corner into Margrain Vineyard, down to Schubert Wines, Ata Rangi, ending up at Tirohana Estate for lunch or dinner. Pinocchio (06 306 6094) and Cool Change Bar and Eatery (06 306 9665) have new chef, Jamie Armour on board (voted 'Wellington Chef of the Year 2013'). 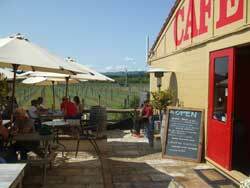 Cool Change is Open Tues-Sun from 4pm .. and Pinocchio is open for dinner Thurs/Fri/Sat. Our favourite restaurants outside Martinborough are Salute Restaurant (06 304 9825) and Wakelin House (06-304 8869) in Greytown. A good Martinborough cheap eats stop is Siam KitchenThai Restaurant (06-3068068) No frills décor, but great food. We’re more than happy to book your restaurant. 4. 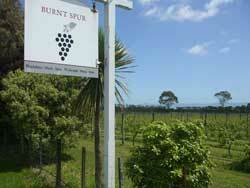 The Cape Palliser day trip is our out-and-out favourite - in all weather moods too. Rain, hail or shine! The stunning landscapes constantly change with all the light variations coming in off the sea. 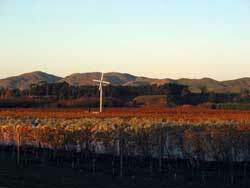 The Cape is 72 k’s from Martinborough (about 1 hr 15 mins). The Cape Palliser lighthouse was built in 1897 and the view is worth the hike up 258 steps. Just before you reach the Cape Palliser lighthouse, you will spot one of New Zealand’s largest fur seal colonies. No problem getting out of your car to get closer to the seals for photos,. but the expert advice is not to get between them and their escape to the sea. They can get moody. 5. Another compulsory stop on Cape Palliser is the Putangirua Pinnacles, formed by 120,000 years of erosion  and a backdrop in Lord of the Rings. In Middle Earth the pinacles are on Dimholt Road in the Return of the King. There’s a two-hour long the stream-bed, or a longer 3 to 4 hour walk along a loop track. 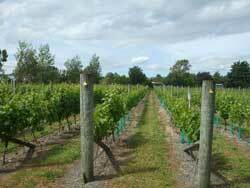 Take the drive from Martinborough to Gladstone via the Ponataki Valley. 8. Carter's Scenic Reserve near Gladstone offers easy walking through a rare mix of habitats once typical of the Wairarapa. There are 2 short walks Kahikatea Walk: This 30 minute loop walks takes you through a flooded forest remnant in the Wairarapa. 9. Also near Gladstone is Stonehenge Aotearoa - not so much a replica of England's ancient Stonehenge as a practical, open-sky observatory. 10. Bike the new Greytown Rail Trail. It's the old railway corridor from Greytown to Woodside station, which operated from 1890 to 1953. Starts at the end of Cotter Street, and is 5 kilometres. 11. 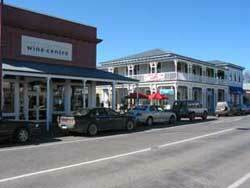 Take the 15 minute drive across to Greytown, brilliantly restored to reflect its colonial past, and now a boutique shopping paradise with many antique, arts and craft, gifts and design shops, plus its cafes and restaurants. 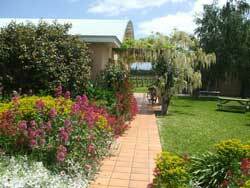 Our favourite spots are Salute for lunch or dinner  Wakelin House for dinner - and the French Baker for brunch. 12. We can highly recommend picking up a fresh mushrooms at the Parkvale Mushroom factory  home of the famous Parkvale Flat. 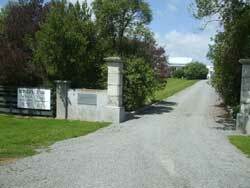 The factory is about 4 k’s before you get to Carterton on the route from Martinborough. 14. One of the region's most popular attractions is Pukaha Mount Bruce National Wildlife Centre, a 20-minute drive from Masterton, north on SH2 - and the home to Manukura, the little white kiwi. You will see endangered wildlife like tuatara, eels, kaka, kokako and kiwi up close. Everyday at Pukaha you can enjoy a Roving Ranger Talk, Takahe Talk, Eel Feeding, Kaka Circus and the Kiwi Theatre. Also has a nice café. 15. Keep driving north to Wairarapa's famous Mangatainoka's Tui Brewery- you can book a tour or drop into the bar and souvenir shop. 17. Castlepoint Beach is a spectacular day trip, with its giant limestone reef, lighthouse and landmark Castle Rock. It's Wairarapa's most spectacular beach and a popular summer camping ground. 19. Waiohine Gorge, south of Carterton, makes a scenic entrance to Tararua Forest Park. Test the new swing bridge  reputed to be one of the country's longest. 20. North of Carterton, Mount Holdsworth, is the gateway to many famous tracks, offering anything from an hour's walk to several days tramping. There's plenty of shelter and picnic areas and you can swim in the crisp, clear rivers.